Great pirates! Have fun at Salute, I’m a bit jealous… Also, I might have found out how I can comment on your blog again, huzzah! Thanks Thomas! Brilliant news, how did you do it? I have to comment via the WordPress Reader, if I try to comment directly on your blog, it doesn’t work. Have fun at Salute! 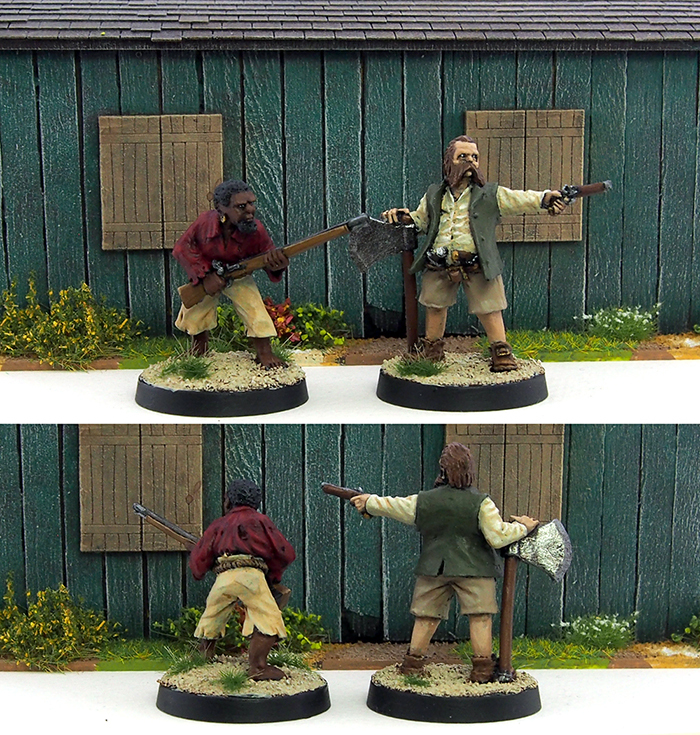 These pirates are, like your others, so subtly done and when you look at them they really pop. Nice colors! Really like these Mikko, you’re a pirate master! Thanks so much for the kind words Mark! Very nice figures! Enjoy Salute and the hiking! If you’re hiking the Pennines, Shap Abbey is worth a visit if you’re across that way, not least because one of the local farmers stocks up snacks and drinks in a big plastic weatherproof storage box and you leave your money in an honesty box! MOAR pirates is a good thing in this context. They look lovely photographed against the terrain like that, very atmospheric. Thanks Paul! I’d like to set up some more terrain shots like that, I break out my buildings etc far too rarely. I like the colours you and Emmi chose and the application is neat too. Aaargh, me hearties! Hope you enjoyed salute mate. Love the minis, especially the big axe guy hehe.